Can anyone please identify my clock? 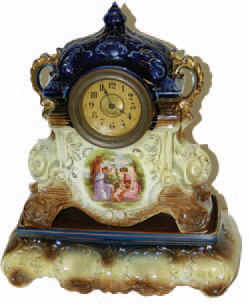 I have an Antique clock - the identical clock as in the picture although I am missing the base. Can anyone please help me identify it's maker and whether there is a possibility of matching a base?